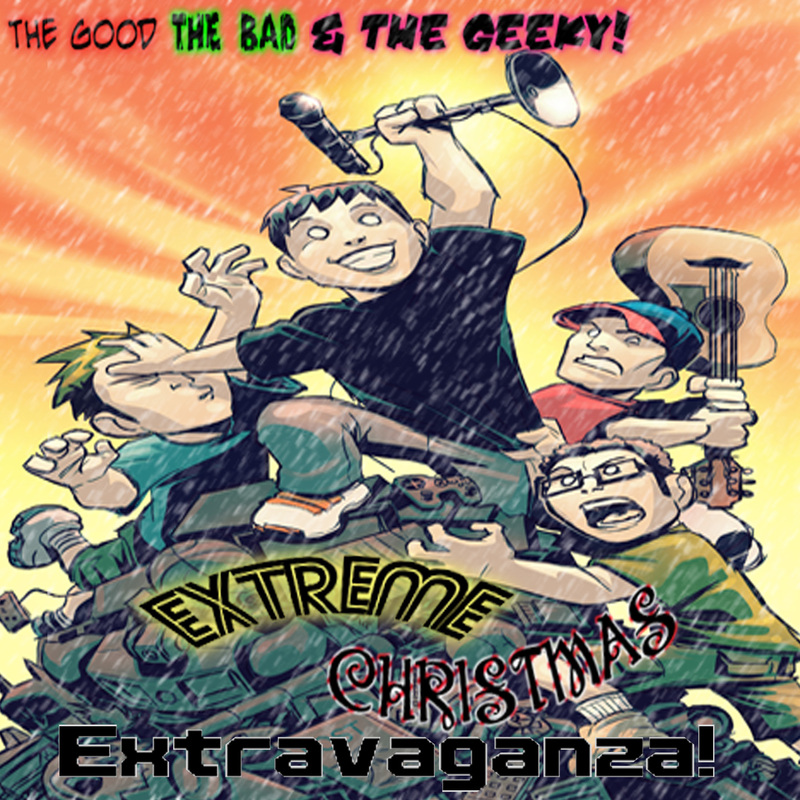 THE BEST OF THE GOOD, THE BAD & THE GEEKY EXTREME CHRISTMAS EXTRAVAGANZA!!! Additional Bonus Content being made available on Christmas Day 2012 (12/25/2012 around 8PM EST), such as a combination of bloopers and outtakes from the past five years of the GBG Extreme Christmas Blooper Reel Extravaganza mp3 file is available for users who have our Android GBGApp or iPhone GBGApp!If you don't have the GBGApp, you can get the App for $1.99 via the Android Market or the iTunes Store! This app contains the following features: * Streaming access to play episodes from anywhere * Always updated with the latest episodes * Episode search to easily locate your favorite episode * Download the episodes and play them when offline * Playback resume (when interrupted by a call or other distraction) * Favorites (mark the episodes you want to return back to over and over) * Quick access to all the contact methods for the show * Other extras such as wallpapers, and other audio (and maybe even video) goodies! The 2007 GBG Extreme Christmas Extravaganza! Deciding to not do any news and filled with tons of joy, Christmas Cheer & music, Nick Nitro, Jimmy & Jon come to you straight from the podcast studio! Special Guests from the Dribble For Kids cast, Jimmy's Uncle Patrick, Mr. Know-It-All, Dr. Phil, and co-hosts Nathan & Wendy! If you didn't think that was filled with enough cheer... we even have a holiday greeting to you with the help of JibJab! To get a sample of what tunes we have, we have The Chipmunk Song, A ToneDeaf Christmas, Rudolph, Blue Christmas and Merry Little Christmas! So get a listening! Here's the greeting with the help of JibJab..!